It’s easy to get caught up in your own thing: doing research, checking facts and seeing how it all fits into your work. But with some writers, it’s obvious that the richness of their plot comes from local history that surrounds them. I live in New York’s Hudson Valley, an area steeped in gorgeous landscapes, lush vineyards, tasty apples, dairy farms, trout fishing, skiing on mountains friendly to learner, and more. Lots of celebrities move here. David Bowie, for example, loved his peaceful spot on the map. But the underside of all this natural beauty is, if you believe in such things, is haunted with mystery. 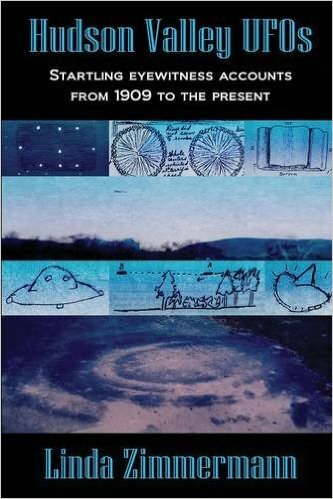 We’ve got our share of ghosts, UFOs and ancient sites settled by pre-Columbian people only barely studied. Such things spark the interest of residents, naturally, but even fewer seek to scratch around and dig through forgotten fields and thick forests in search of what once was might still lurk beneath…or above. 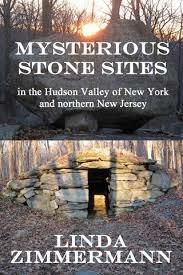 Many local historians take inspiration from the embarrassment of riches surrounding them and investigate the truth behind the legend. They painstakingly dig into dusty files, read brittle microfilm on aging equipment, visit graveyards and historical societies, all for the sake of getting to the bottom of a story. These writers spend hours crafting the research into readable copy, submit them to the publication process, hoping you’ll pick up their books and become just as intrigued as they were. Linda Zimmermann is one such person. A noted local historian, she’s interested in everything: history, mystery and lore. She’s investigated ghosts, UFOs, stone sites and science. She’s the author of many books, and if you see one of hers, pick it up. 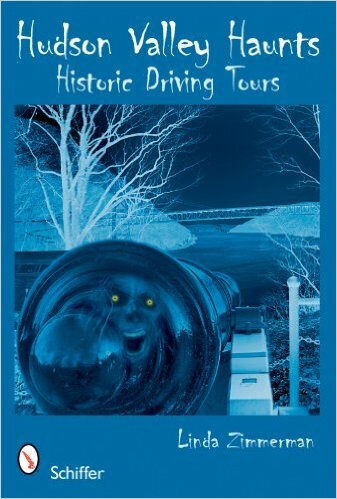 Linda writes with humor and insight, and before you know it, you’ll be headed down that certain road in Pine Bush, NY, looking for that certain lake where UFOs have been spotted many a time. Another such person is a friend of mine, a teacher, local historian, journalist and all around interesting fellow: A.J. Schenkman. His personal biography is enough to fill several volumes, but he’s also one of those sorts who can’t resist researching and documenting a good story. 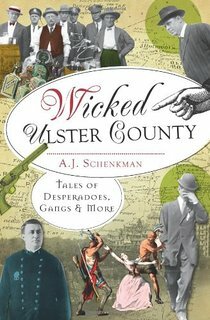 A.J.’s found all sorts of things to write about in Ulster County, NY. Leaf through these pages and you’ll find plenty of stories that’ll curl your hair. When you’re next at a cocktail party and the guests bemoan how terrible times have become, you’ll be grateful you live in the relative security of suburbia and modern times. Things in the past were pretty gruesome, as the pages of these books will attest. 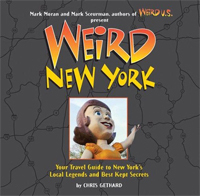 Lastly, I have to give a brief shout-out to the masters of documenting the weird and strange, Mark Moran and Mark Sceurman, better known as the Weird NJ guys. There’s not a story too strange or a site too abandoned they won’t check out. Their publication, “Weird NJ” has been running for something like twenty years. They’re also in the process of documenting as many weird tales across the nation with their “Weird” series. They’ve had a show on the History Channel, too. Perhaps the most important thing all of these writers are doing is documenting the past so it’s not forgotten, like the file cabinets from which they gather their research. If you’re thinking of writing a great novel of fiction, check these local authors out first. You’d be surprised what you’ll dig up.